Chateau Mont Redon is the largest wine producer in Chateauneuf du Pape with 165 hectares of land to their name. That includes 100 hectares planted with vines. They also own several hectares of vines in Lirac and the Cotes du Rhone appellation. Not only is Chateau Mont Redon the largest producer of Chateauneuf du Pape wine, they are also one of the oldest estates with the longest histories in the Southern Rhone Valley. The ancient Romans were the first people to cultivate grapes at what we know of today as Chateau Mont Redon. However the official vineyards of Chateau Mont Redon can be dated as far back as 1344, when it was known as Mourredon. The name Mont Redon as you can guess morphed from Mourredon over the centuries. During the 17th century, the property was acquired by the d’Astier family, who passed it down to the Mathieu family, owners of Chateau Andre Mathieu today. 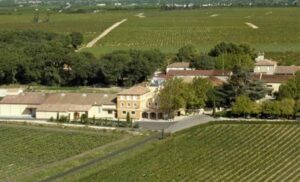 However, the modern era for Chateau Mont Redon begins in 1923, when the property was managed by Henri Plantin, a contemporary of the legendary Baron Pierre Le Roy. Henri Plantin and Baron Le Roy were both instrumental in the creation of the Chateauneuf du Pape appellation. At the time, believe it or not, the estate was only 2.5 hectares of vines that were widely dispersed across the appellation. It was due to the drive and vision of Henri Plantin that Chateau Mont Redon became perhaps the largest vineyard in the Chateauneuf du Pape appellation. By 1972, the vineyard had increased to 72 hectares. The estate has continued to be passed on to the next generation and the efforts to increase the size of the vineyards as continued as well to its current 100 hectare size today. Chateau Mont Redon is famous for producing many of the best wines from the 1950’s and 1960’s in Chateauneuf du Pape. Some of those wines, if well stored, can provide a lot of pleasure even today! Mont Redon continues as a family run company. Today, Pierre Fabre and Yann Abeille, Henri Plantin’s descendants, are in charge of managing the estate. 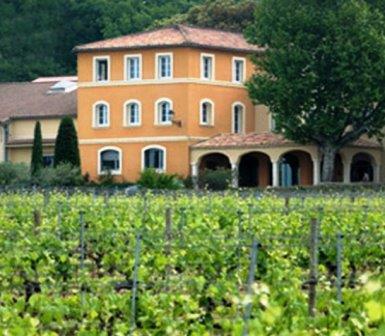 The massive 186 hectare estate of Mont Redon includes over 100 hectares planted with vines. 80 hectares are used for planting red wine grape varieties and 20 hectares are reserved for white wine grapes. The vines average 45 years of age, which is due to the continuous planting program at the property. The terroir is is basically in three different sections of their vineyard with rocks, stones, red clay and limestone soils. Although that varies as you might expect, due to the estates enormous size. All 13 allowable grape varieties are planted at Mont Redon. They use many technical advances at the property, including optical sorting machines. Generally speaking, during harvest, the grapes are picked one variety at a time, starting with the Syrah, then Grenache then Mourvedre. Chateau Mont Redon produces only two wines, 1 red Chateauneuf du Pape and 1 Chateauneuf du Pape Blanc. Chateau Mont Redon Chateauneuf du Pape – The main wine from the estate is made from blending 65% Grenache, 15% Syrah, 10% Cinsault and 5% Mourvedre with various amounts of Counoise, Muscardin, Vaccarese and other allowable grape varieties. The grapes are 100% destemmed. The grapes are co fermented. Vinification takes place in large, stainless steel vats. The wine is aged in a combination of concrete vats, old oak barrels and 20% new, French oak barrels for 12 months before bottling. Roughly 50% of the wine is aged in barrels and the remainder is aged in tank. Close to 30,000 cases of wine are produced each year. Chateau Mont Redon Chateauneuf du Pape Blanc is made from a blend of 40% Grenache Blanc, 25% Bourboulenc, 20% Clairettes, 10% Roussanne and 5% Picpoul. The wine is aged in 100% new, French oak barrels for 5 months before bottling. The average annual production is close to 5,500 cases of wine in every vintage. This is the largest production of any white wine in the appellation. Chateau Mont Redon can be enjoyed on the young side if decanted for 1-2 hours. This allows the wine to soften and open its perfume. Older vintages might need very little decanting, just enough to remove the sediment. Chateau Mont Redon is usually better with 3-6 years of bottle age. Of course that can vary slightly, depending on the vintage. In the best vintages the wine should be consumed within 4-15 years after the vintage. Chateau Mont Redon is best served at 15.5 degrees Celsius, 60 degrees Fahrenheit. The cool, almost cellar temperature gives the wine more freshness and lift. Chateau Mont Redon is best served with all types of classic meat dishes, veal, pork, beef, lamb, duck, game, roast chicken, roasted, braised, stewed, grilled dishes, sausage, barbecue and cassoulet. Domaine Mont Redon is also good with Asian dishes, hearty fish courses like tuna, mushrooms, cheese, pasta, eggplant and tomatoes. The white wine of Chateau Mont Redon is best served with a myriad of different seafood dishes, shellfish, crab, lobster, sushi, sashimi, chicken, pork and veal, as well as Asian cuisine. From time to time, Chateau Mont Redon also produces a branded wine for export sold as Les Brusquieres from Chateauneuf du Pape. Chateau Mont Redon also produces red and white wine in the Cotes du Rhone and Lirac appellations where they own 51 hectares of vines. Medium bodied, with sweet, ripe, red fruits, herbs, licorice and even a bit of spice. The wine has good concentration of flavor and soft, silky textures in the finish. Round, fresh, bright, forward, early drinking, medium bodied, kirsch and herb filled, peppery charmer. Good character but not quite enough volume. Hints of thyme, herbs and kirsch, with a soft, forward, polished, fresh cherry filled finish. Light in color, medium bodied in weight, with a fresh, bright, crisp, spicy, red berry fruit and pepper character. This is not a wine for aging. Not a lot of flash. Instead you discover peppery black raspberries, garrigue, earth and cherries, with concentrated layers of ripe, juicy, spicy, red plums, soft textures and good freshness. This medium bodied, soft, forward wine is already serving up its cherry, pepper, herb and spicy charms. This is not a wine for long term aging. It will probably be best on the young side. Fully mature, this elegant, soft, spicy, kirsch filled wine does not want further aging. Medium bodied, earthy, and with a red, berry character, there is no reason not to be popping cork on this today. Tea in color, this is clearly past its prime. The fruit has mostly faded away. Traces of red berries remain in the light, tart finish.